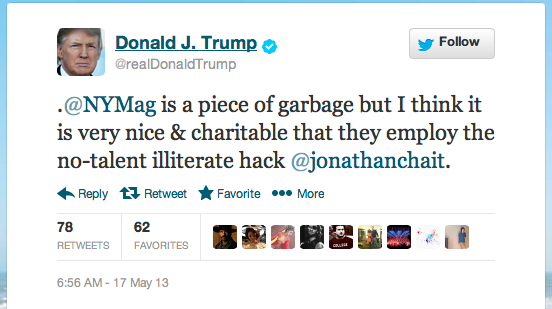 Donald Trump (whom I don’t follow on Twitter), clearly displeased by something Jonathan Chait wrote, has a crack at him and the excellent New York magazine. Which Chait (whom I do follow) immediately re-tweeted. When public figures criticise media in this way, it just makes them appear wounded.